There are over 100 different chemical elements that are known to modern chemistry. The Periodic Table is a chart showing all known atoms (chemical elements). This article details examples of elements. Each element has different characteristics and properties. Symbols from the periodic table are used for the individual elements examples are O for oxygen, H for hydrogen, C for carbon, N for nitrogen and Ca for calcium. Examples of Elements - Gas, Solid or Liquid? An element can be a gas, solid or liquid. The terms solid, liquid or gas are called States of Matter and often referred to in Periodic Chemistry. Our table detailing examples of elements indicate the names of elements, the symbols of elements. Examples of Elements - What is an element? Our examples of elements provide details of all the elements in the periodic table. A chemical element contains only one type of atom. 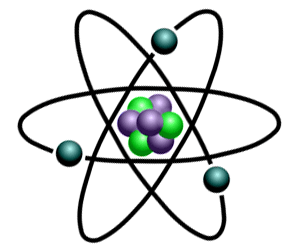 The number of protons, neutrons and electrons an atom has determines what element it is. If a substance contains more than one type of atom, it is a compound. Examples of Elements - Element or Compound? In chemistry a formula, or equation, is a type of shorthand for representing the elements in a compound. For example in chemical formulas, the chemical formula for water is H2O which indicates that 2 atoms of Hydrogen combines with 1 atom of oxygen. Our section on Examples of Chemical Formula and Equations provide a list of common formulas and instructions on how to write a formula or equation - the next stage following the information contained in our examples of elements.